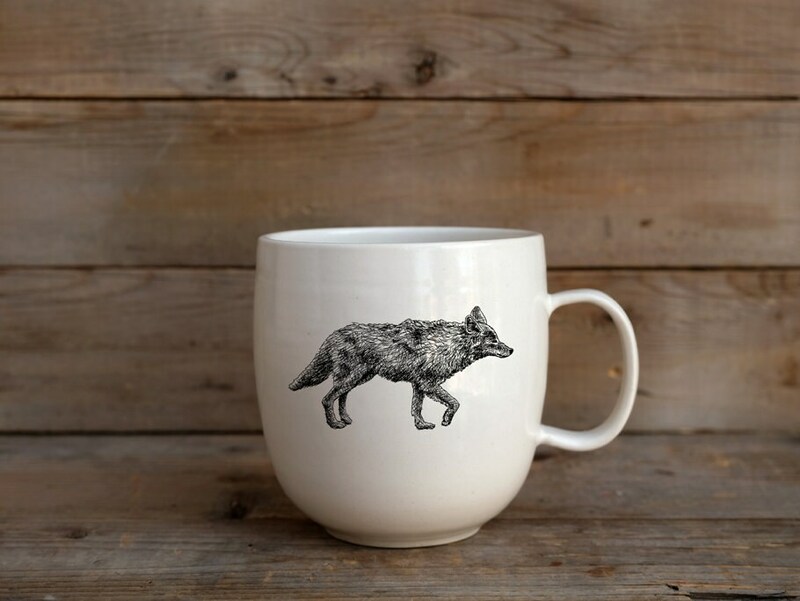 Perfect to have your morning coffee, or a cup of your favorite beverage! This collection is meant to be a celebration of the beauty of Canada’s wildlife. The artist draw wild animals by hand on paper. Then she processed the images to make decals so they can be transfered onto ceramics while preserving all their details. These ceramics are white porcelain, hand-thrown by the artist herself. After a first fire, a glossy white glaze is applied, and the pieces are fired again at 1200 degrees Celsius (2192 degrees Fahrenheit). After this second firing, the decals are transfered onto the ceramic pieces, and fired one last time at 800 degrees Celcius (1472 degrees Fahrenheit). This collection combines two of the artist’s passions : drawing, and clay. It is also her way to express her love and respect for nature. Therefore, it is a reminder of the need for the humankind to protect its environment in order to preserve its wildlife. Each piece comes with a small card giving informations about the animal. The back of each tumbler also shows its track.